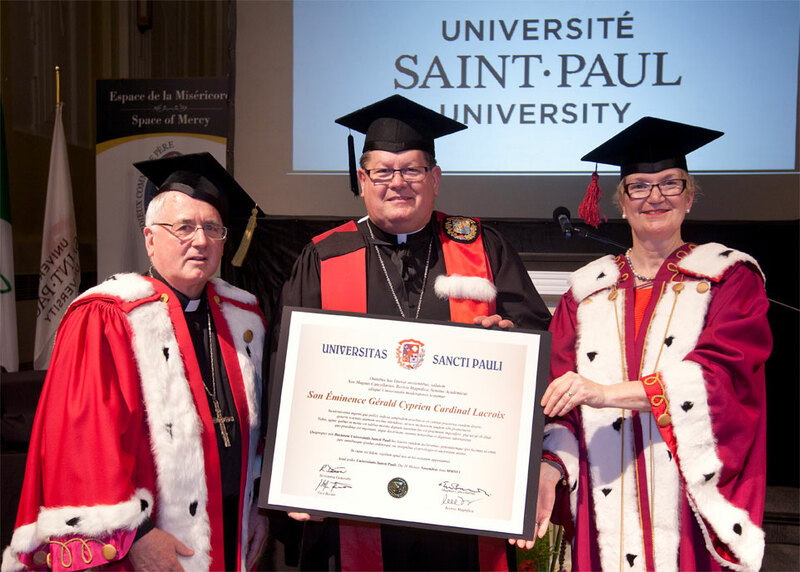 On November 4, Saint Paul University conferred an Honorary Doctorate on Gérald Cyprien Cardinal Lacroix, Archbishop of Québec, in recognition of his outstanding contribution to the religious, community and charitable sectors in Québec. On April 7, 2017, Saint Paul University celebrated the launch of the Providence School of Transformative Leadership and Spirituality. The Providence School is the first of its kind in Canada. The medal, which bears the name of the founder of the Oblates of Mary Immaculate, recognizes Eugène de Mazenod’s approach in showing boldness and zeal in addressing the urgent social issues of his time. The Eugène de Mazenod Medal honours individuals who have made a significant contribution to the development of human capital in their community, in their environment or in society as a whole. 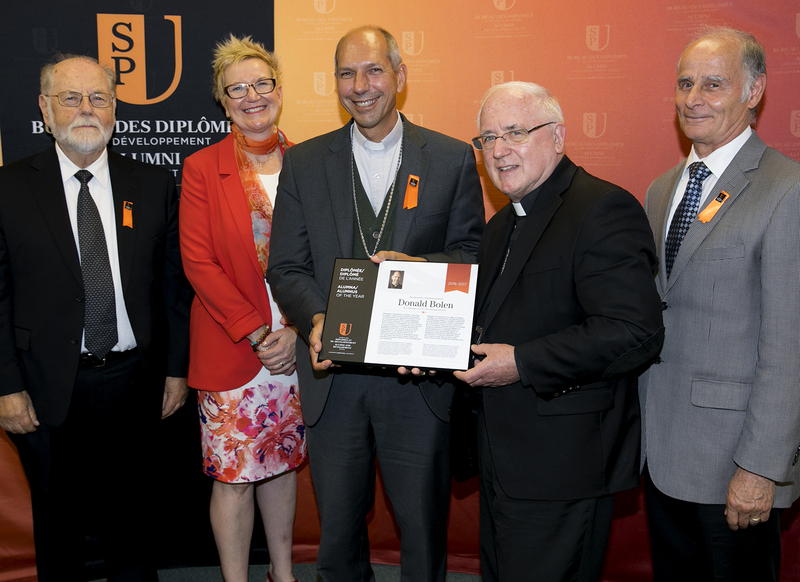 Saint Paul University (SPU) has awarded the Eugène de Mazenod Medal to Mr. John Joe Gunn, a volunteer for the Oblates of Mary Immaculate and a citizen actively involved in social justice. May 2017 – Dr. Heather Eaton and her students are in South Africa for an innovative course! Dr. Heather Eaton and her students are in South Africa for an innovative course: Humans and Other Wild Animals: Ecological and Social Issues in South Africa. This course is about ecological and social challenges in South Africa, with a focus on human–animal relations in an era of ecological stress. South Africa’s animals are threatened with habitat loss, hunting and climate change. The Summer School in Social Innovation provided an intensive formation on current issues in social innovation. During their time together, students took part in a format that combined theoretical seminars, practical courses, field trips and evening discussions. It was an opportunity to take a moment to reflect on our practices in social innovation, but also allowed participants to meet various sectors and discover their approaches and initiatives in social transformation. The entire University community and a number of invited guests gathered at Saint Paul University for the two 2017 Convocation ceremonies to celebrate the success of its 186 graduates in human sciences, canon law, philosophy and theology. For the first time in the University’s history, this celebration took place on its Main Street campus, which has just undergone major renovations. During these ceremonies, the Governor General’s Gold Medal was awarded to Amy Pauley, Doctor of Philosophy (Theology), and the Governor General’s Silver Medal went to Brenda Caron-Torti, who holds an Honours Bachelor of Arts in Human Relations and Spirituality. 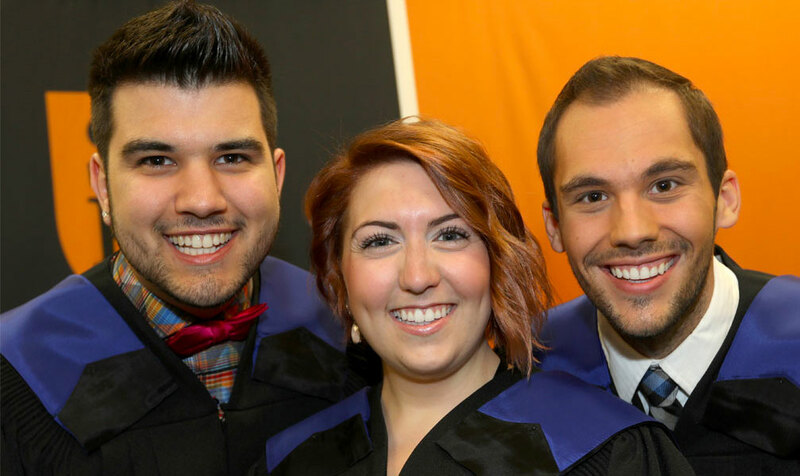 “Today, it is up to us to move above and beyond, to find our place and to leave our mark on society,” said graduate Sébastien Larocque, who is the outgoing president of the Saint Paul University Student Association. “Our world greatly needs talented and ambitious people like you, who carry within them the promise of a better future, a society that is stronger, more inclusive and more human. 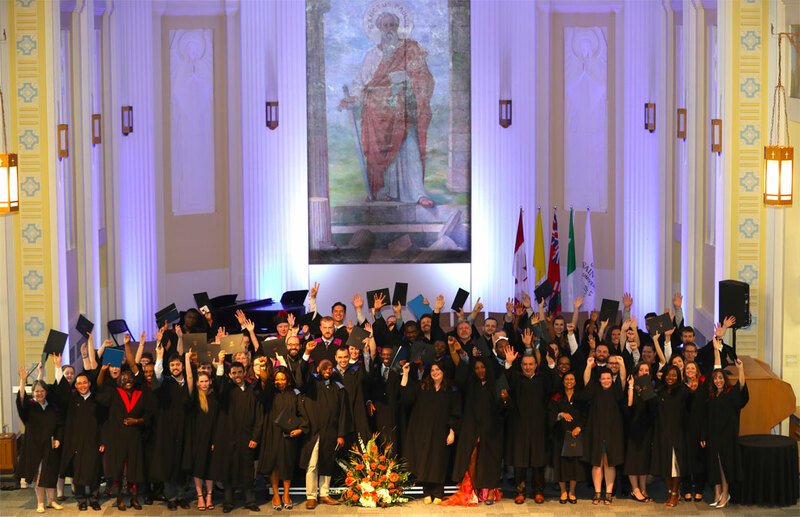 We are very proud of your achievements and we are convinced that you will meet the next challenges you face with as much energy and imagination as you have put into your studies here,” said Dr. Chantal Beauvais, rector of Saint Paul University. June 26, 2017 - Congratulations, Father Morrisey! Well-deserved recognition! 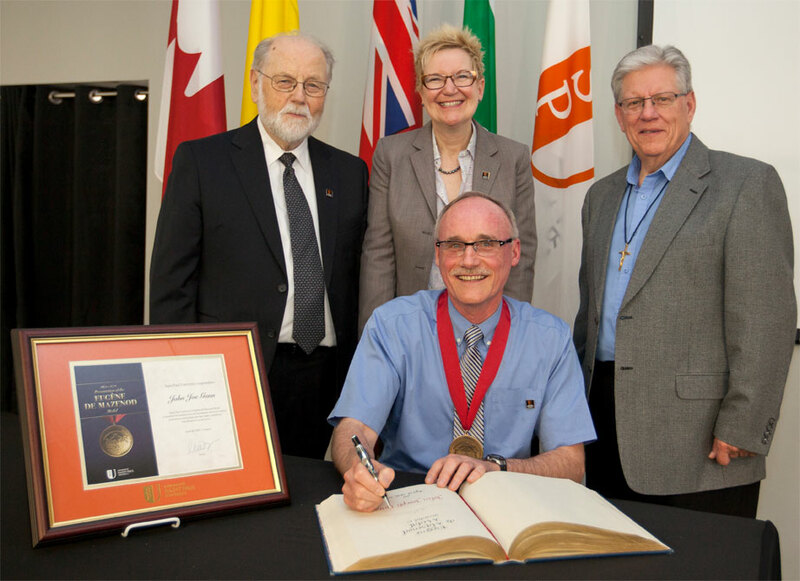 On June 26, 2017, at the annual Catholic Health Sponsors of Ontario (CHSO) gala dinner in Toronto, Professor Francis Morrisey, OMI, received the first CHSO Meritorious Award. Saint Paul University presented the 2017 Alumnus of the Year Award to Archbishop Donald Bolen. Pope Francis appointed Bishop Bolen as the eighth Archbishop of Regina, formerly Bishop of Saskatoon, on Monday, July 11, 2016. The official installation ceremony was held on October 14, 2016 at Holy Rosary Cathedral. Our 2016–17 year was filled with delightful events that celebrated the spirit of Saint Paul University. We began the academic year with a start-of-the-year barbecue, a joint event with the University and the Student Association. We informed students about the many services we offer, such as the ISIC card, the U-Pass exemption, and the health insurance plan, and we had a club fair to advertise the numerous clubs that students can participate in during the school year. We also provided some live music! In October, we had our annual general meeting, informing students about what to expect in the coming year, discussing and approving our fiscal year budget, talking about the motions, voting on a representative for the Senate, and answering all the students’ questions. We stepped into November by putting our foot down. A big national movement took place where all students came together to fight the rising tuition fees in universities around the country. We represented students from Saint Paul University, arm in arm with all students in a campaign called Fight the Fees. In December, we had a very Merry Christmas. We organized another joint venture with the University, Pastoral Services and the International Office, on the theme of Christmas. We had lighting, carollers, hot cider and the love that all our students and staff brought to the event. The festivities were wonderful – we even had elves going around and spreading Christmas spirit. Professors and students came together and sang Christmas carols for us. The event was a huge success and truly embodied what the student body at Saint Paul stands for. Around February, Black History Month took us by storm, and many information sessions were organized on campus. We held debates challenging norms, brought speakers from the community to inform us about particular issues, and raised awareness in the university community. We also marked Black History Month with a feast that brought students together, spreading the message of an inclusive and respectful environment and blessing us with different cultural foods. Students wore traditional dress, danced, laughed and had a blast. 2016–17 was astounding. We had a great time bringing the ideas and requests of students to life. The Pastoral Services team has led a number of activities over the past year. One of the first was a session with professors and students that aimed to determine their needs and develop activities that would be interesting and helpful to all. In addition to the regular liturgical activities, the team developed workshops and lectures with other University departments and partners, such as Justice, Peace and Integrity of Creation (JPIC); the Social Justice Club; Development and Peace; and the Sophia Research Centre. Some of the topics covered were climate change, poverty, First Nations, and demystifying gender. Other initiatives – such as the knitting club, yoga sessions, a discussion group on psychology and spirituality, bake sales, a collective kitchen activity, as well as folk dance workshops – contributed to the well-being of students. These activities also created an environment that allows for reflection, peace of mind, balance and a place where students from different faculties could mingle and get to know each other. Overall, the substantial growth in participation in the various activities shows that Pastoral Services is accomplishing its mission of welcoming, serving and celebrating.